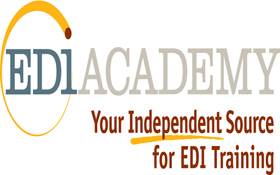 1 EDI Source, Inc. has been a leader and innovator in the EDI software and SaaS solutions industry for nearly 30 years. We offer EDI solutions designed to help organizations transform business-to-business operations, while the excellent service provided by our in-house support team is at the center of our success. We specialize in providing the perfect EDI solution for our client's unique business needs, whether they are small startups or fortune 500 companies. Companies in various industries have come to rely on 1 EDI Source for innovative, easy-to-use software and cloud-based solutions to improve their customer relationships and drive operational excellence. Accelerated Analytics – Make faster and better-informed decisions with real time data and insightful analytics. Accelerated Analytics provides a comprehensive software as a service (SaaS) tool for collecting, analyzing, and reporting on EDI 852 and POS data. We provide your team with pre-configured reports and flexible ad-hoc analysis tools for one-click access to item and store level analysis that will help you respond faster, optimize inventory and increase sales. AFMS Logistics Management Group, a recognized leader in small package contract negotiations has developed web-based transportation management tools specializing in small package shipment visibility, contract compliance and management reporting. Many organizations provide tools for heavy freight management but AFMS is the leader in filling this niche for small parcel shippers. APEX Analytix helps companies maximize their profitability and safeguard disbursements globally. Our innovative people, processes and FirstStrike® technology have transformed the audit recovery industry, saving our clients billions and making APEX Analytix a leading global provider of recovery audit, overpayment detection and risk analysis services. BDP International is a $2.4B privately owned logistics provider delivering transportation and logistics solutions in the areas of custom lead logistics, freight forwarding, global transportation, global trade management and regulatory compliance services. BDP tailors supply chain solutions with a keen sense of today’s landscape of evolving customer habits, demands and expectations. We differentiate ourselves from others with the dedicated and experienced team members behind every account, who provide individual attention and customized solutions. With 149 owned offices serving over 133 countries, our global reach is extensive and our local knowledge of customs rules and regulations is paramount to our customers. As companies look to adapt, refine and stay ahead of the competition, they rely on BDP’s global presence, robust service offering, and supply chain and trade compliance experts to navigate winning solutions. California Label Products – Built on 20 years' experience in the apparel industry, California Label Products (CLP) is a West Coast leader in apparel and footwear labeling solutions as well as brand ID development and protection. With operations in both the United States and Asia, CLP provides its customers with a complete array of apparel tag and label products, such as retail tickets, including those with RFID, woven and printed branded labels, heat transfers, and fully integrated tags and labels. The company's factory-trained technicians have expertise in multiple hardware and software platforms, allowing CLP to offer and support a diverse variety of in-plant printing solutions. Capco Wai Shing LLC (CWS) is a global hanger company with more than 30 years of experience in designing manufacturing, and selling plastic garment hangers and polybags. We are recognized worldwide as a highly competitive top quality garment hanger supplier with service to the apparel industry since 1975. CWS is uncompromising in our efforts to continue to deliver superior, innovative and cost effective garment hanging solutions (GOH) to our customers. With our highly qualified mold design staff and state of the art mold making equipment, we can accommodate both new product development and the redesign of existing products. Our experience and knowledgeable sales personnel welcome the opportunity to help you find the right hangers to maximize your floor ready quality and space. Cloud Union is the creator of Wonder Rewards, a loyalty marketing program engineered to drive incremental sales for brands and retailers. Retailers can tap into the #1 CRM platform available today to turn transactional data into insights which retain best customers, attract new customers and provide up-sell and cross-sell opportunities. Visit us at CloudUnionRewards.com, to learn how our innovative, turn-key solution uses intelligence-based marketing to increase customer engagement, protect and grow your market share. Datalliance is the world's largest independent Vendor Managed Inventory (VMI) service provider. Delivered as a cloud-based platform backed by extensive customer service, Datalliance VMI makes it easy for suppliers and their customers to establish sales and inventory management relationships that fully align business objectives, improve collaboration, and streamline supply chain operations. Datalliance manages billions of dollars in orders, millions of SKUs, and thousands of locations worldwide for leading companies in consumer, industrial and healthcare markets. dataZen Engineering handles “All things Data”. We have 10+ years of experience aggregating, enriching, structuring, normalizing and exporting data for over one million products with 35 million+ data points such as attributes, values, digital assets, 360-view assets etc. Trusted by customers and partners globally, dataZen Engineering delivers powerful, affordable data solutions designed for midmarket B2B distributors, suppliers, manufacturers, and wholesalers across many verticals. Our cloud-based SaaS (Software as a Service) solution makes it possible to integrate with nearly every ERP system, EDI, Web portal, Content management system or data from any other sources out there. “All things data” within the company are easily accessible and presented on a simple interface. Obtaining the right data within the organization whether product data for ecommerce, capacity and IT assets planning, or interacting with trading partners has never been easier - no missing gaps in data or error-prone datasets needing to be cleaned. Neither a separate application for data transfer nor any database intensive query tool application needed. You can export your own datasets just like ordering something online. Start with our State-of-the-Art GAP Analysis process where practical, redundant silo processes and inefficiencies will be identified and consolidated, resulting in base cost avoidance moving forward. Increased accountability and traceability for your intellectual property is achieved. DiCentral is a leading global innovator in the EDI industry segment. A broad range of Software plus Services solutions enables a seamless exchange of data throughout supply chain networks. DiCentral's integration solutions are scalable to the size, growth, and unique requirements of each business. In addition, DiCentral develops a complementary suite of supply chain applications for retailers and suppliers, including Cloud-based EDI, EDI Testing, Global Enablement, Web EDI, Managed Services, and more. Dynamic Worldwide is a full service, logistics organization. The Dynamic Group of Companies supports the movement of products from the point of production to the selling floor. Dynamic provides a complete service to the retail trade, with over 3 million square feet of warehouses in North Bergen & Kearny NJ, Miami, Fl, Greensboro, NC & Santa Fe Springs, Ca. Services include: Dynamic Worldwide Logistics with offices in Hong Kong, Shenzhen, Shanghai, Qingdao & Guangzhou, China & Vietnam for International Ocean & Air Transportation, Dynamic Consolidation, Dynamic Distribution for Third Party Floor Ready Services, FIFO & Cobra CFS Facilities, Dynamic Delivery for Regional LTL service & Dynamic Express for Coast-to-Coast Transportation (Garment-on-Hanger & Flat Pack). ecUtopia is a very easy company to do business with. We help businesses of all sizes be defined by their strengths, to thrive and differentiate themselves in this new global market. We focus on freeing companies from technology fears and limitations in their EDI and supply chain solutions. We support our customers with big appetites for supply chain excellence by enabling them to optimize their supply chain. This allows them to devote more time to what makes their organization stand out to its customers. Companies that do not have a big budget, but may have big ideas, can take advantage of what ecUtopia has to offer. ecUtopia opens companies up to partnerships with all types of vendors and suppliers across the globe, enabling EDI and supply chain solutions to assist in driving a great experience for each and every customer. Feel the ecUtopia effect and drive results quickly, We Have Your Solution. EDICOM is an international provider of cloud-based EDI, Electronic Invoicing, and GDSN solutions as well as managed services. All of Edicom's solutions and are developed and maintained in house, guaranteeing professional delivery and support, adaptability, and security. Currently Edicom provides these solutions to over 15,000 clients in over 60 countries with a physical presence in 8 countries throughout the Americas and Europe. Enspire Commerce – By bridging critical gaps in omni-channel commerce, Enspire Commerce enables small to mid-market retailers, distributors and 3rd Party Logistics Providers (3PLs) to transcend traditional transaction-based selling to deliver customer-focused commerce via the retail industry's only cloud-based Enterprise Commerce Management (ECM) solution on a single platform. The ECM platform features a multi-tenant architecture integration framework that allows seamless interactions between retailers and their suppliers, logistics partners, stores and customers. The software suite includes: retail engagement (POS), advanced order management, product information master (PIM), trading partner management (TPM), and e-commerce solutions that deliver a unified customer brand experience. With Enspire Commerce, companies can effectively implement a customer-centric approach to omni-channel commerce, improving brand loyalty and extending profitability. Enspire Commerce is an enVista company. eZCom Software - Founded in 2000, eZCom Software is a leading provider of software as a service (SaaS) for EDI and online order management. Backed by outstanding customer support, we offer tailored solutions that match your work flows. Our Lingo application can be integrated with ERPs, accounting software, a 3PL, a WMS, online marketplaces such as Amazon, eCommerce stores like Shopify, and shipping companies like FedEx and UPS. Intuitive and robust, our software will improve compliance and dramatically reduce the errors that create chargebacks, while delivering the seamless transactions that today’s demanding consumers and retailers expect. 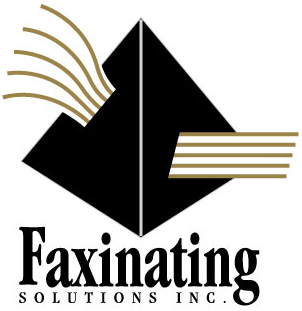 Faxinating Solutions Inc. (FSI) helps you leverage EDI-investment and extend compliancy to non-EDI trading partners with a minimum investment in time and money. Faxinating Solutions' automated outsourcing solutions allow your suppliers and your customers to become electronic trading partners, with everybody's budget and technology intact. Choose from one of our many customized solutions including: fax/pdf-to-EDI using OCR/ICR technology; exAct© software with data import from popular accounting/ERP software; web-based EDI; EDI-to-fax/email; catalogue software; or customized integration. Our pay-as-you-go services allow you to provide the opportunity to offer your complete supply chain a cost-effective and simple solution to transact information uniformly despite the varying technical setups. FDI West, Inc. is a third party distribution and logistics provider located in Southern California. Our reputation is built on honest results achieved through hard work. For over 20 years, we've rolled up our sleeves and provided our customers with the best service, at the greatest value. Our company has an intimate knowledge of your product, resulting in substantial cost savings and giving you much needed peace of mind. Given today's challenges, FTDI West employs all the latest technologies and automation to efficiently process your product, translating into a variety of cost effective solutions for your logistical needs. Our staff is committed to providing your company with industry leading support. We welcome the opportunity to demonstrate how FTDI West can more efficiently, economically and professionally handle your distribution and supply chain needs. FineLine Technologies provides retail ticketing and software solutions for retailers and retail suppliers. With headquarters in Atlanta, GA, the company has facilities in the U.S., Canada, Hong Kong and China to serve its customers worldwide. First Flight Solutions, a 5-time Inc. 5000 honoree, is an industry leader in small parcel negotiations and freight management. We provide our customers with world-class audit and TMS technology for them to make better, faster, more cost-effective business decisions. We are able to do all of this through a performance-based cost model with no up-front assessment costs to our customers. GT Nexus offers a cloud-based platform that the world's biggest companies use to drive efficiency and agility across the global supply chain. Leaders in manufacturing, retail and logistics services all share GT Nexus as their standard, multi-enterprise collaboration platform. Users operate against a core set of information across multiple supply chain functions to optimize the flow of goods and trade information, from order point to final payment. Customers include Xerox, Williams-Sonoma, Nestlé, DHL, Sears, Caterpillar, Kraft Foods and The Home Depot. HighJump's functionally rich and highly adaptable end-to-end solutions help users achieve new levels of supply chain responsiveness, performance and profitability, from the warehouse to the storefront, from the desktop to the driver's cab. HighJump's suite of warehousing, manufacturing, transportation, distribution, mobile delivery and retail solutions allow users to seamlessly drive growth, customer satisfaction and revenue by delivering goods faster and more profitably. InterTrade provides innovative B2B e-commerce solutions that optimize supply chain collaboration. We enable businesses to quickly connect to their trading partner communities and easily exchange EDI electronic business documents. Our solutions include VAN connectivity for simplified document exchange as well as Electronic Catalogs for product data synchronization between suppliers and retailers. 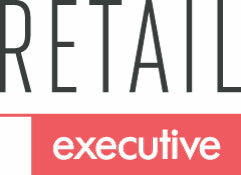 Enjoy InterTrade's personal attention from our team of specialists who make EDI easy for maximum customer satisfaction! iNymbus creates cloud-based, back-office solutions designed to automate resource-heavy, finance processes, thereby increasing its clients operating efficiencies. Serving both Equipment Manufacturers and CPG companies, iNymbus solutions leverage the SaaS model and are platform agnostic. This means they can be implemented into existing, company platforms free of capital, infrastructure, and maintenance investments. The cloud-based, SaaS model also means your company will carry no ongoing resource burden. The iNymbus usage-based fee structure contract often pays for itself in less than three months. The iNymbus DeductionsXchange is for CPG companies dealing with the costly problem of managing, retaining and sharing deductions documentation. DeductionsXchange introduces robotics to the process of uploading denied claim packets to vendor portals, reducing the cost per claim to less than $1. JDM Sorting, LLC helps retail clothing companies and garment vendors go green, and save green, by recycling and re-using plastic hangers. JDM Sorting works with almost every major garment retailer to create and implement an efficient process to REDUCE the production of new hangers, REUSE hangers already flowing through the system, and RECYCLE what cannot be reused. Annually, JDM Sorting reuses or recycles more than 350 million plastic hangers. Label IT/StreamLine®, a global labeling solutions service bureau supplying retailer specific GS1 compliant barcoded, RFID (labels & tags), color, hangtags, fabric labels and retail pricing stickers. Label IT's StreamLine portal provides RVCF & GS1 members a guaranteed global web-based platform for placing, processing and managing all labels required by their trading partners for on product, package and master carton shipments. Logicbroker provides EDI & drop ship technology that unites brands, retailers, and the systems they rely on. Harness the latest in cloud and supply chain automation technology with unrivaled speed and integration flexibility. We craft the connections that enable digital commerce. Our proven platform eliminates the complexity of running a successful drop ship program. Enjoy a high level of supply chain data automation, including inventory, orders, acknowledgments, shipments/advanced shipment notices (ASNs) and invoices. Expand your product offering by opening up an endless aisle of inventory while eliminating the headaches associated with bringing products into a warehouse or third-party logistics (3PL). National Retail Systems, Inc. (NRS) includes Keystone Freight Corp. & National Retail Transportation, Inc. (NRT). NRS is an asset based 3PL that has been providing logistics services for the World's leading retail companies for 60+ years. Our hub locations include: New York & New Jersey; Los Angeles, CA; Inland Empire, CA; Savannah, GA; Columbus, OH; Greensboro, NC; and Baltimore, MD. The Newmine team is like no other – uniquely focused on optimizing retail commerce and returns reduction. We are all accomplished professionals with deep retail strategy, operations and IT systems skills honed by decades of in-the-trenches experience. We have helped some of the retail industry’s biggest brands transform their customer experience and enhance profitability. We are the developers of the only AI-powered returns reduction platform, Chief Returns Officer. And that’s what you want, to get to the source of your problem - Along with a professional partner that knows how to meld with your culture and brings state-of-the-art, game-changing processes and technology. We’ve been there and done that. We’re ready to get to work. Nexgen Packaging was founded with the goal of providing customers with the highest quality packaging products by leveraging software and analytics in the design and manufacturing processes. Since its inception in 2006, Nexgen has become a global leader in the tag and label industry offering a complete portfolio of apparel branding products, variable data products, and other packaging solutions. We focus exclusively on retail, apparel, and footwear brands and our success is directly linked to our core software offerings that are used in 19 manufacturing country locations and more than 12,000 manufacturing entities globally. The founders of Nexgen had a vision for how technology could improve the relationship between brands, vendors, and suppliers. We developed our core platform around this concept and continue to invest in areas such as PLM and testing data integration, analytics, and reporting. Our software has become a fundamental part of our engagement with customers who are seeking ways to improve the speed, cost, and quality of their supply chain processes. NFI is a fully integrated supply chain solutions provider headquartered in Cherry Hill, NJ. Privately held by the Brown family since its inception in 1932, NFI generates more than $1.2 billion in annual revenue and employs more than 8,000 associates. NFI owns facilities globally and operates 27.5 million square feet of warehouse and distribution space. Its company-owned fleet consists of over 2,300 tractors and 8,800 trailers, operated by more than 2,600 company drivers and 250 owner operators. Its business lines include dedicated transportation, warehousing, intermodal, brokerage, transportation management, global, and real estate services. OpenText – Speed to market is the key to success in the ever changing retail industry. OpenText operates the world's leading Business to Business (B2B) network. Built on the strength of the OpenText Cloud, it connects more than 600,000 businesses that execute in excess of 20 billion transactions per year to facilitate the mission-critical transfer of goods, money, and information between retailers, vendors, and service providers. The retail industry relies on OpenText to successfully manage the challenging Omnichannel supply chain. 90% of Fortune 500 general merchandise retailers and their vendors utilize OpenText solutions. The OpenText Active Catalogue is the industry leading data synchronization solution with over 200 retailers and 6000 vendors sharing product information and images for over 210 million unique products. Our solutions help our retail industry partners increase speed to market, grow sales and decrease supply chain costs. Performance Team is an industry-leading third-party logistics provider with over 30 years of experience in E-Commerce Fulfillment, Distribution, Transportation, and Transload. PT has a national footprint of 7 million square feet with domestic hubs strategically located near major ports, interstate highways and intermodal rail lines allowing PT to provide its customers with flexible B2C and B2B solutions for the movement, handling and distribution of goods. PT offers a full suite of services across multiple industries including e-commerce, retail, automotive, consumer goods, apparel, footwear etc. These services include dedicated facility management/ contract logistics, pick and pack, replenishment, value-added services and retail compliance, reverse logistics, EDI/API, consolidation/deconsolidation, transloading, pool point distribution, harbor drayage, local transportation, regional line haul, retail store delivery and custom supply-chain management. PT has worked hard to earn and maintain a reputation as one of the leading third-party logistics companies in the U.S.
PT is a Smartway Partner, and has been recognized by Inbound Logistics as a Top 100 3PL, Top 100 Trucker, and Top 75 Green Supply Chain Partner, as well as a Transport Topics Top 50 Logistics Company. We're the only thing that should come between your products and your customersTM . Port Logistics Group (PLG) is the leading provider of gateway logistics solutions for retailers, manufacturers and wholesalers. With more than 4 million square feet of warehouse space and transportation assets located in and around major US port locations, PLG gets your goods to market on-time and retail-ready. PRGX Global, Inc. is a global leader in Recovery Audit and Spend Analytics services. With over 1,400 employees, the Company serves clients in more than 30 countries and provides its services to 75% of the top 20 global retailers and over 20% of the top 50 companies in the Fortune 500. PRGX delivers more than $1 billion in cash flow improvement for its clients each year. The creator of the recovery audit industry more than 40 years ago, PRGX continues to innovate through technology and expanded service offerings. In addition to Recovery Audit, the Company provides Contract Compliance, Spend Analytics and Supplier Information Management services to improve clients' financial performance and manage risk. Promethean Software Services is a 21st Century e-commerce/EDI business-to-business integration software as a service solutions provider. Long recognized as an innovator in the industry, Promethean’s revolutionary Prometheus “Driverless” retail/supplier EDI platform is an extraordinary advancement to the traditional EDI approach. The Prometheus platform requires no skilled resources, incorporates custom integration applications, eliminates all VAN and document testing charges and is completely OS and ERP system independent. A highly synchronized, multi-tenant, shared-service of Network Connectivity, Data Transformation and Custom B2B Integration software and application-to-application services. After 20 years of providing advanced integrated EDI solutions for America’s largest and industry leading manufacturers and retailers, the “Driverless EDI” platform is available to all companies of all sizes and in all industries. r-pac International Corporation is a leading global supplier of packaging and trimmings to retailers, designers and merchant suppliers. r-pac International is focused on our customer's success by providing the highest level of service, global product consistency, competitive costs, and on-time delivery to all participants in the industry. REMEDI Electronic Commerce Group is a business integration services and staffing provider. We have served clients in the US and Canada since 1994. Clients come to us for our application-2-application (A2A) and business-2- business integration (B2Bi) niche, expert resources, engagement flexibility, quality/speed in resource placement, integration experienced account managers/resource managers, and our tenure in business. We will sell, install, maintain, upgrade, and expand your business/data integration or EDI solutions. Sewing Collection Inc. (SCI) is a master distributor and wholesaler of corrugated boxes, packaging supplies and other retail supplies. SCI is also one of the leading suppliers of both new and refurbished hangers in the United States. They purchase used hangers from the leading retailers in the country and refurbish them in their warehouses strategically located throughout the US. SCI is a family run business founded in 1983 that has established a reputation for reliability and dependability. They keep a vast assortment of both stock and custom inventory available for immediate delivery with the lowest possible prices. Using their fleet of company trucks, SCI is able to deliver most orders within 24-48 hours and in some cases the same day the order is placed. Smyyth – At Smyyth, we focus on ensuring that our clients optimize their cash flow and profits, extracting frozen cash flow and profits within their order-to-cash cycles, while delivering better customer service. We are out to change the ways that companies work, by transforming revenue cycle operations into a profit contributor, and eliminating absolutely all redundant, low-value paper-shuffling through workflow automation, so that your people can focus on what really matters. Smyyth's CARIXA™ SaaS Order-to-Cash software streamlines operations, slashes costs, and increases profits. Smyyth's revolutionary CREDIT2B™ business community-ratings platform upgrades the quality, cost and delivery of business credit information with a secure and scalable data cloud computing backbone. Spring Systems provides tools and services to manage all of our clients' EDI needs through an online application, on-demand full service bureau and integration. Since 2002 we have focused on the retail industry, staying ahead of the ever changing trading partner requirements. We simplify our clients' transaction requirements, giving them time do what they do best: design, build, and market products for the major retailers. We automatically receive incoming orders on their behalf. The transactions are accessible online via their Web EDI account. No additional software is required other than internet access and a web browser. Our clients can process any transaction by themselves (e.g., invoicing and shipping), or we offer a white glove deluxe EDI where we do all the processing and printing for them. SPS Commerce helps retailers reliably increase sales and profits with more efficient supplier integration, enablement and community management. With more than 45,000 customers, including 1,500 retailers, SPS is a leading provider of cloud-based supply chain management solutions. We provide retailers with insight into which products are selling best, how to get inventory to where you have demand and which suppliers can deliver. SPS can help you improve your supply chain performance and empower you to expand product assortments, reinforce your brand and improve the customer experience. Stratix Corporation provides solutions that enhance the supply chain through the use of bar code verifiers, printers and mobile computers. Services include vendor compliance seminars, bar code training, and a full complement of labels and tags for the retail, packaging, pharmaceutical and distribution industries. TIBCO Software fuels digital business by enabling better decisions and faster, smarter actions through the TIBCO Connected Intelligence Cloud. From APIs and systems to devices and people, we interconnect everything, capture data in real time wherever it is, and augment the intelligence of your business through analytical insights. Thousands of customers around the globe rely on us to build compelling experiences, energize operations, and propel innovation. TIE Kinetix transforms the digital supply chain by providing total integrated e-commerce solutions. These integrated e-commerce solutions maximize revenue opportunities by minimizing the energy needed to market, sell, deliver and optimize online. Customers and partners utilizing TIE Kinetix consistently benefit from innovative, field tested technology and are able to remain focused on their core business. TIE Kinetix develops cloud and license-based solutions and is backed with over 30 years of proven technology and awards. Traverse Systems – Compliance Networks has announced a comprehensive rebrand to Traverse Systems, an interdisciplinary team of supply chain professionals whose platform drives a unified understanding of your entire supply chain. The rebrand comes as Traverse Systems expands their offerings beyond retail. The company will begin to also offer comprehensive supply chain solutions for wholesale distributors, grocers, digitally native vertical brands, and suppliers. For additional information, please visit our press release located at http://bit.ly/2OSh4cW or visit our website. Visconti Garment Hangers, Inc. designs, manufactures and supplies hangers for the clothing and retail industry. We operate across the Americas, Asia Pacific and Africa to enhance the shopping experience and your bottom line, through impactful presentation of clothing, accessories and footwear. Depend on us for excellent customer service, punctual delivery and consistent supply throughout the year. We have a proven service track record and operate within strict quality and safety standards with international ISO accreditation. Our in-house mould design division provides conceptual and technical design for new product development and re-design of existing products to guarantee optimal manufacturing performance and outstanding hanger quality. We embrace ethical work practices and have a clear commitment to doing more for our people, the communities in which we operate and the environment. Visconti was formed in 1985 as a division of the Polyoak Packaging Group, along with Hangerman, who pioneered hanger recycling in South Africa. Voyantic provides RAIN RFID and NFC performance and quality test systems. We enable companies to utilize RFID technology to its fullest potential by offering expertise, insights, test systems, training, and our contact network. RFID enables improving efficiency in different ways, but to make the most out of it, you need to know your tags and your applications, their quality and limitations. Our tools will help! With the right tools it is easy to find the right tag for each item and application. With consistently well performing RFID tags and readers, inventory accuracies are maximized and you will not miss a reading because of a bad tag. Using GS1 TIPP language in RFID compliance requirements makes RFID easy. Yusen Logistics offers a complete transport and logistics portfolio of services to some of the world's largest companies. Yusen Logistics offers full end‐to‐end service coverage including origin cargo management, ocean freight forwarding, airfreight forwarding, warehousing, reverse logistics, surface transportation and integrated supply chain solutions. They are committed to contributing to the sustainable development of our society through safe, environmentally friendly options.